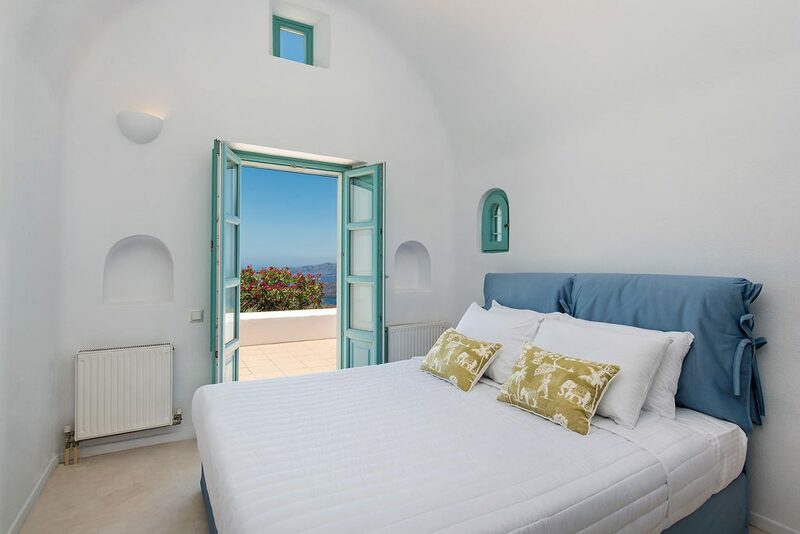 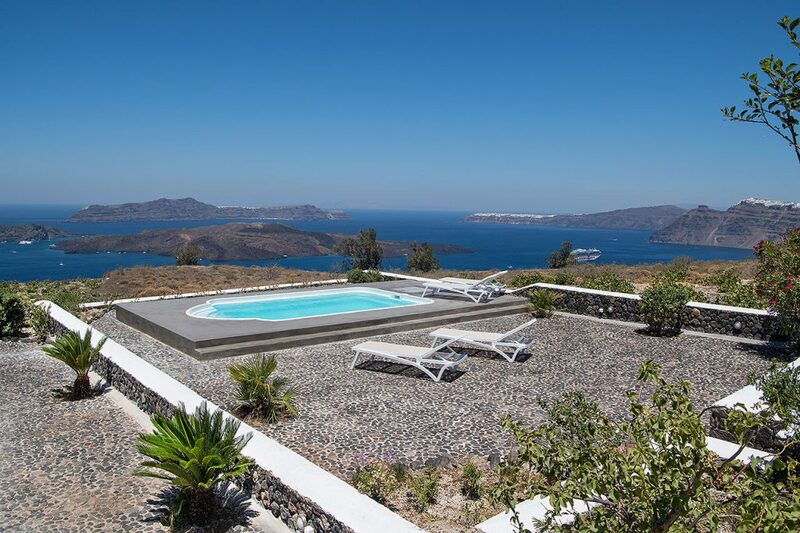 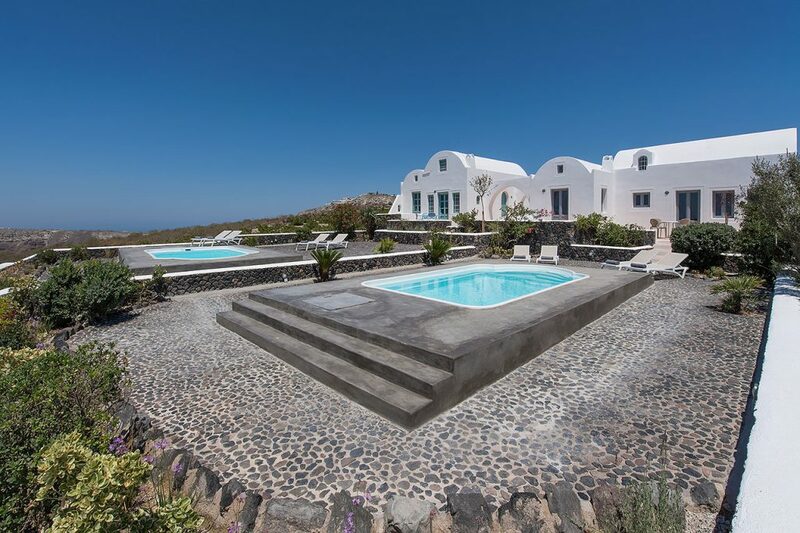 Description: Ananda retreat offers 2 stylish villas each featuring private pools and amazing caldera views, the villas are located in the attractive village of Megalochori. 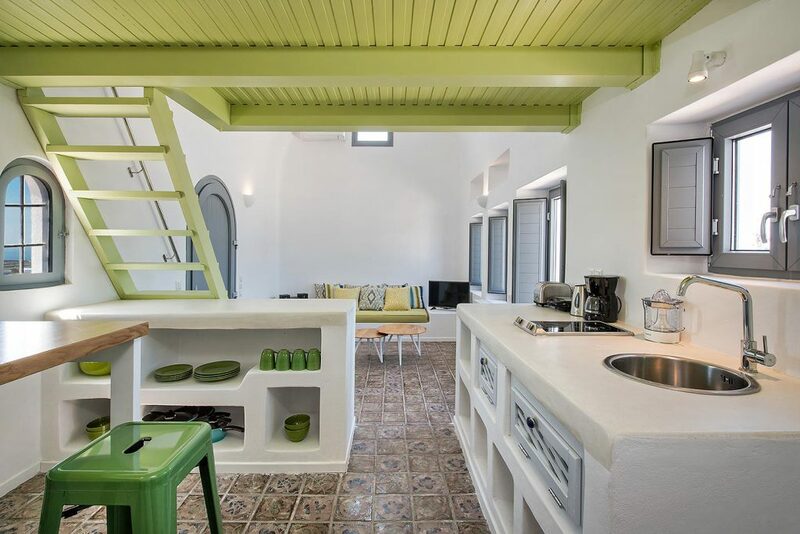 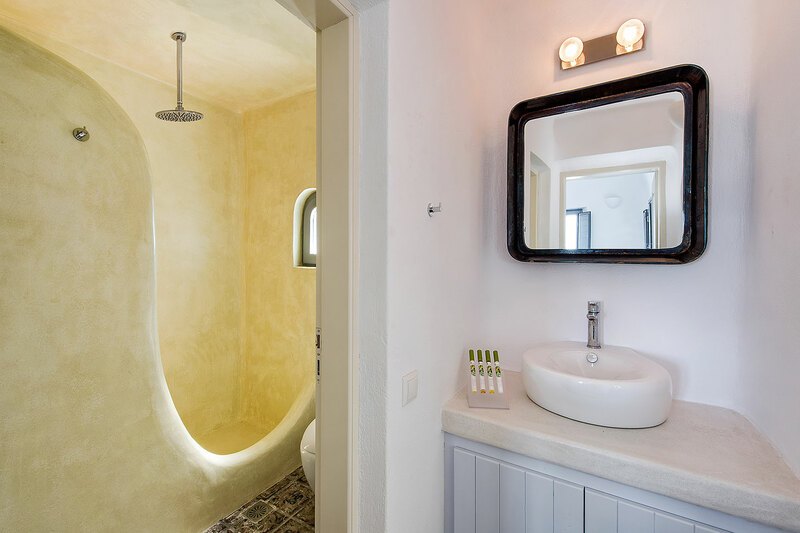 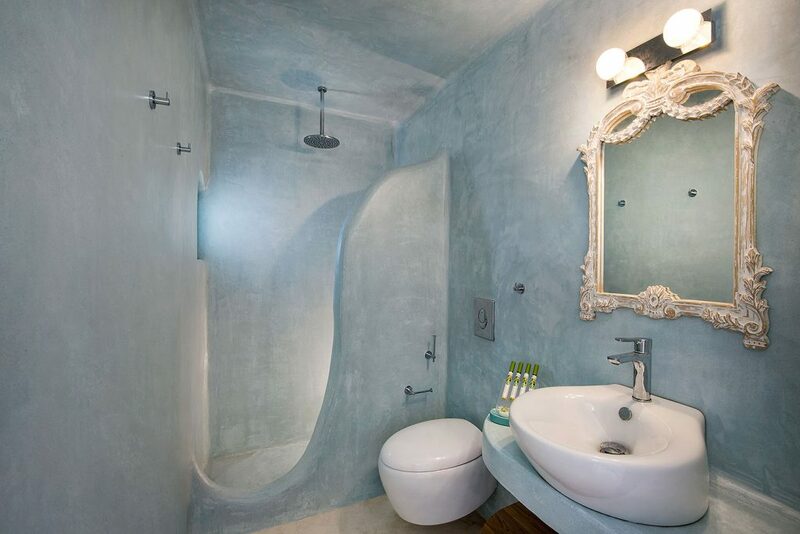 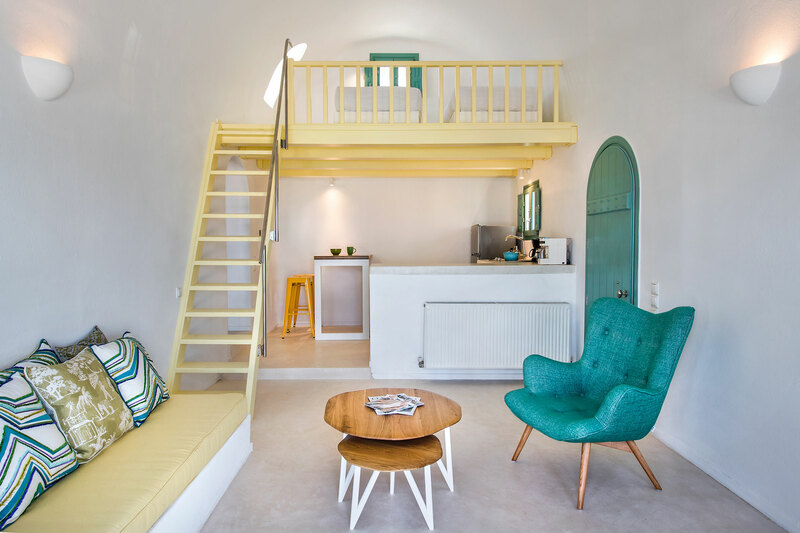 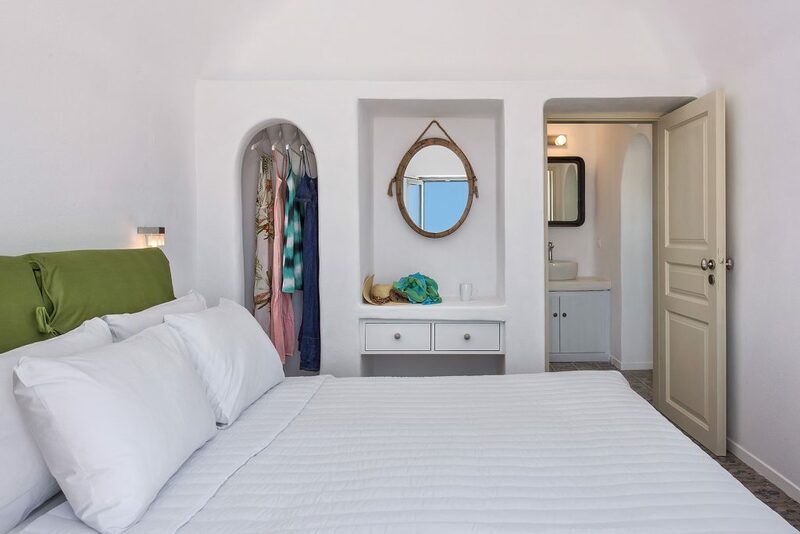 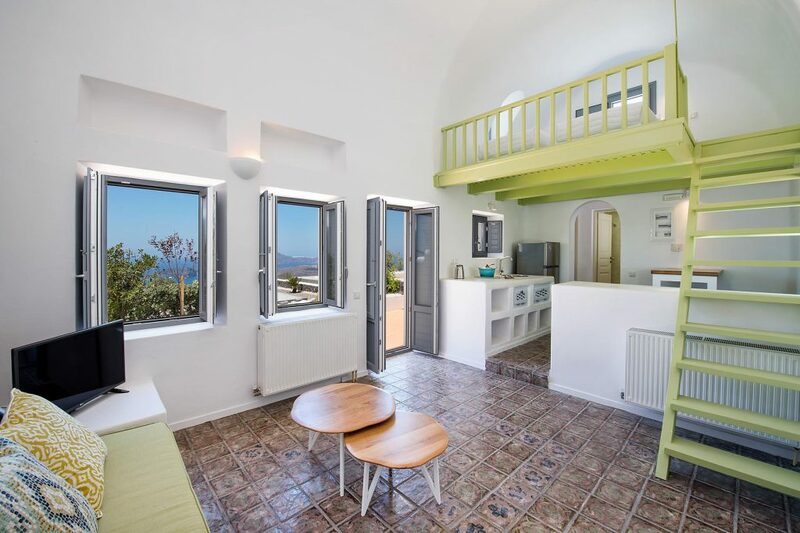 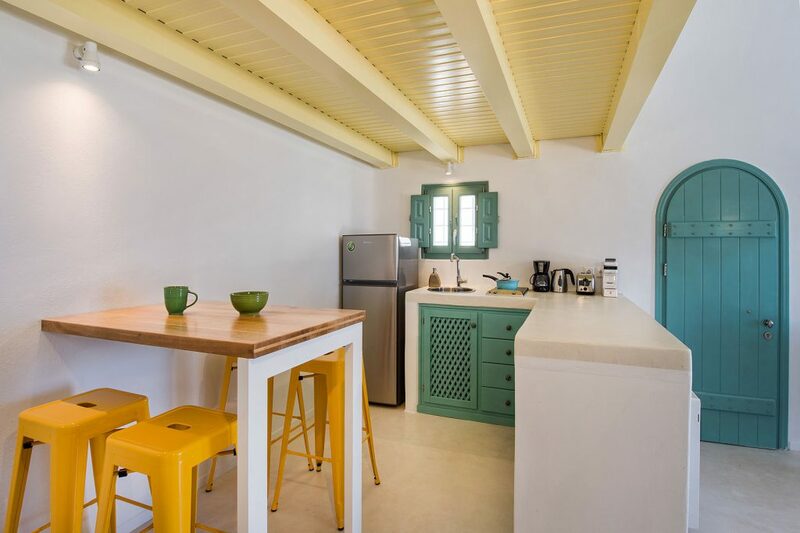 The villas are designed in an open plan style with one double bedroom, lounge/dining area, a small kitchenette for preparing lite meals and a loft bedroom with another double bed. 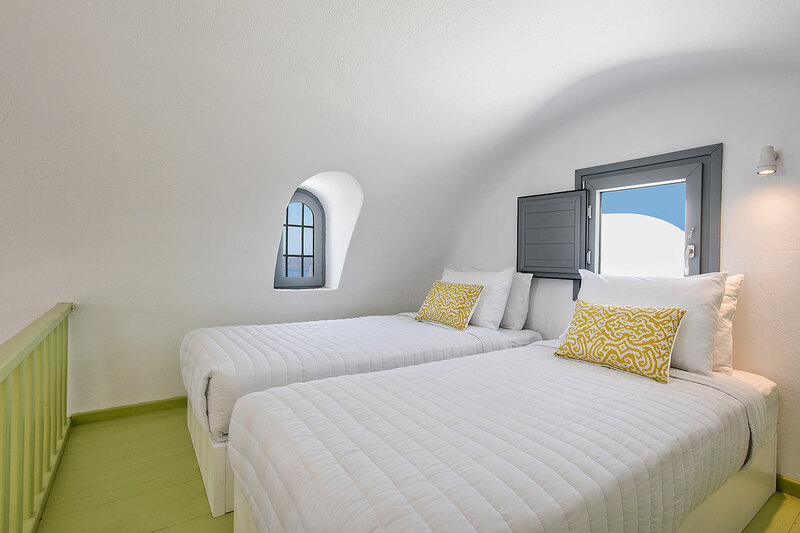 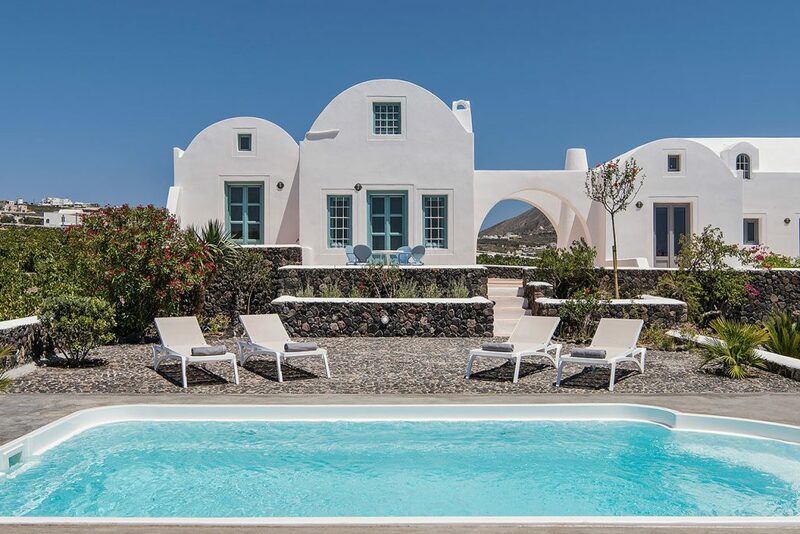 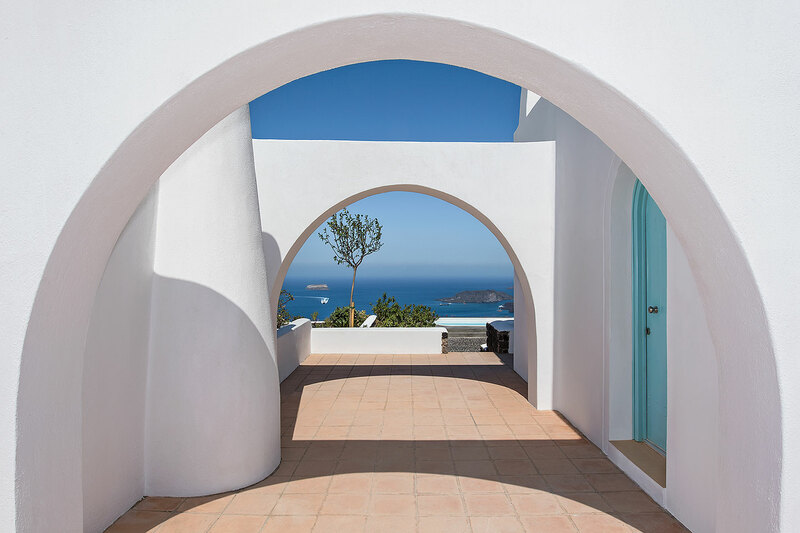 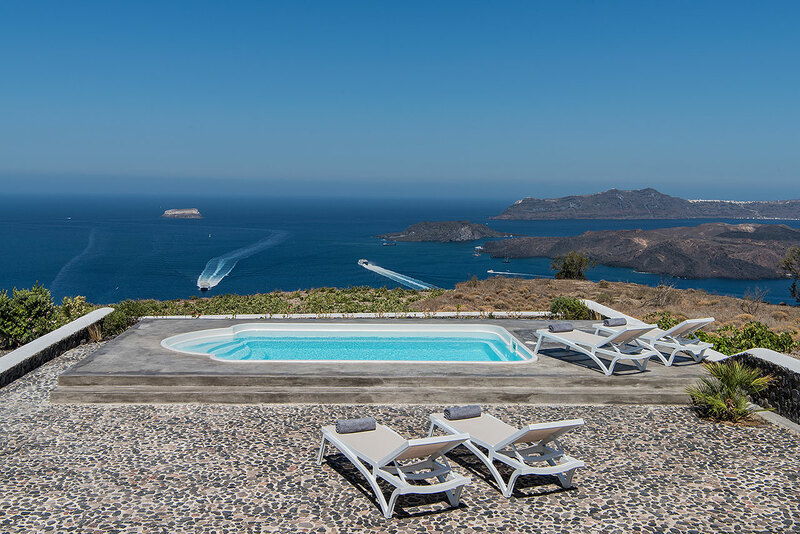 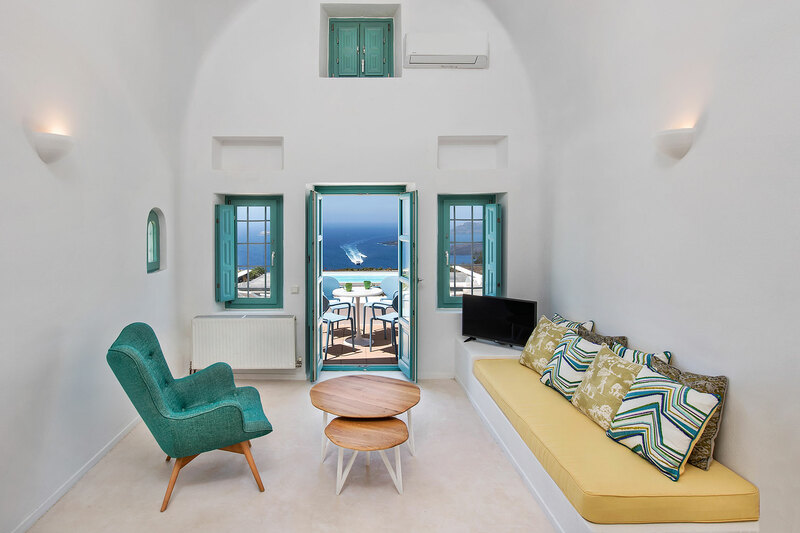 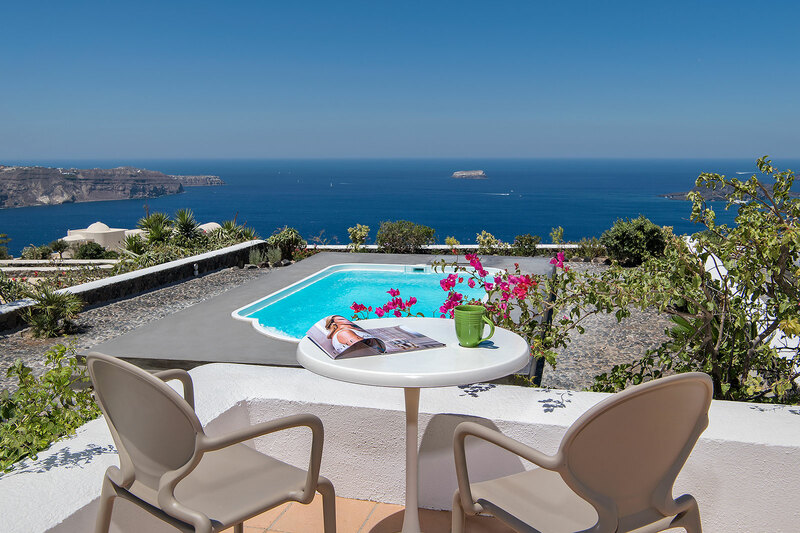 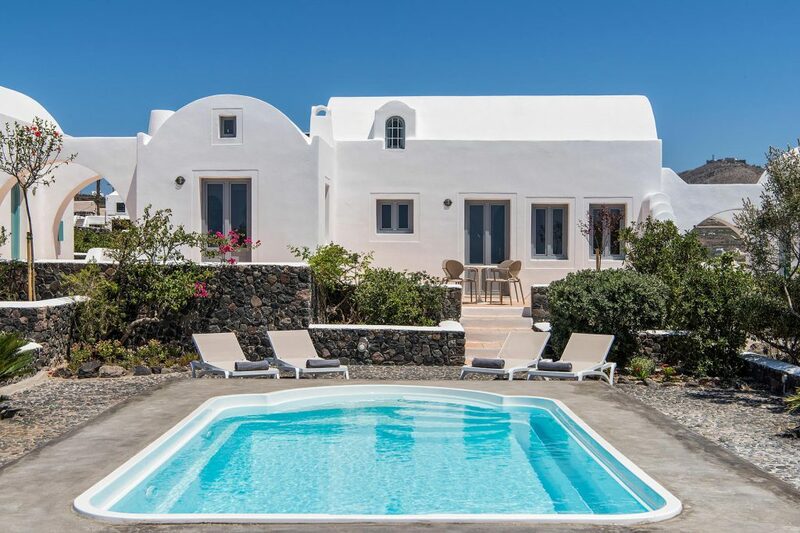 Outside is a spacious terrace offering wonderful views of the famous Santorini Caldera, here you will find a private pool with sunbeds. 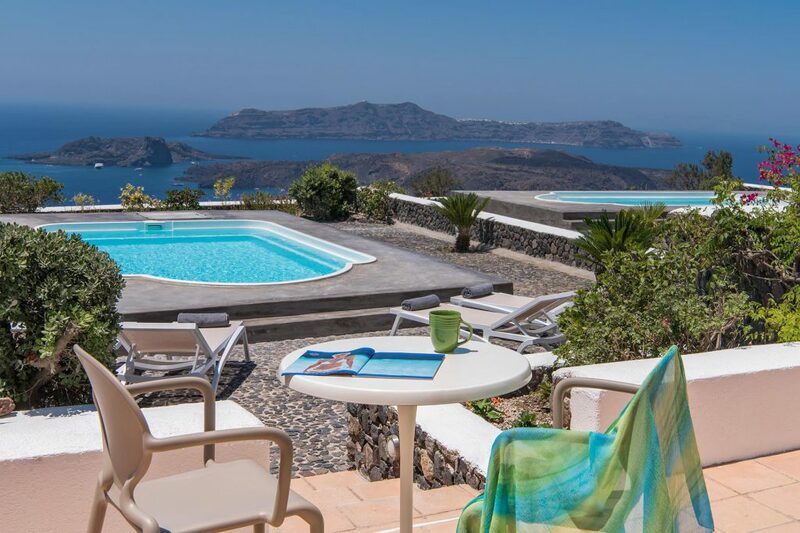 The village of Megalochori offers a number of tavernas, local shops, and cafes. 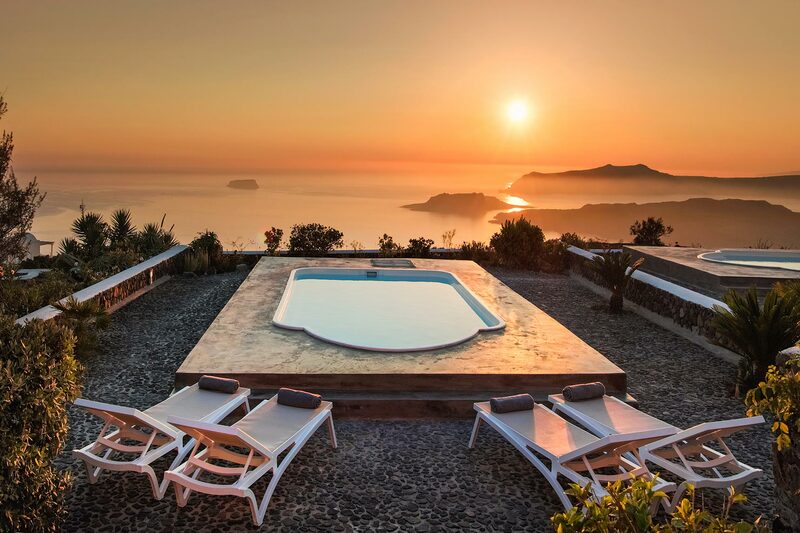 Terrace with beautiful sea, volcano, and sunset views.